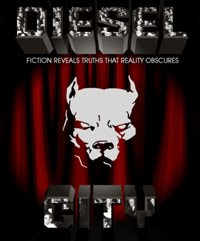 Many of you who follow my blog are also familiar with Dieselpunks.org. If you’re not, Dieselpunks.org was created by Tome Wilson and has served to spread the dieselpunk genre like no other source. Then on June 9th of this year the online dieselpunk community was shocked to learn that Tome was planning on closing shop as of June 23rd unless someone came forward to take ownership. I decided that I couldn’t allow Dieselpunks.org, which so changed my life, to close. Emails flew between I, Tome and others as we hammered out a plan to save Dieselpunks.org. 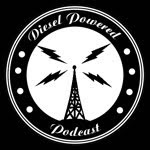 The biggest challenge we encountered was the hard deadline of paying the host by June 23rd or the lights on Dieselpunks.org would go out. When we realized that a point man was needed to make this happen I volunteered to be that man. With everyone in agreement I made the needed investment. First, as the Hippocratic Oath goes, ‘Do no harm.’ Therefore, there won’t be any major changes to Dieselpunks.org right away. The only major change needed soon is concerning the music player. Since the music licenses will end at the start of July the player will need to be replaced. The current plans are to replaced it with a streaming online station. Watch the site for more on this to come. It’s important to mention that I’m grateful to Tome for all that he’s done in creating Dieselpunks.org and for his friendship. I’m honored to be helping to continue his legacy. I'm so happy Dieselpunk.org will not go away. I was shocked when Tome sent out the mail, but I also understand that life changes and projects changes and he has every right to follow his projects. Thanks so much for taking this up, Larry!